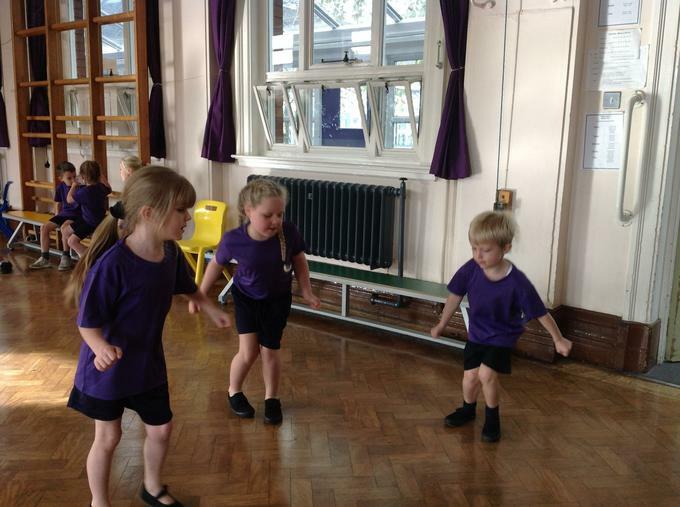 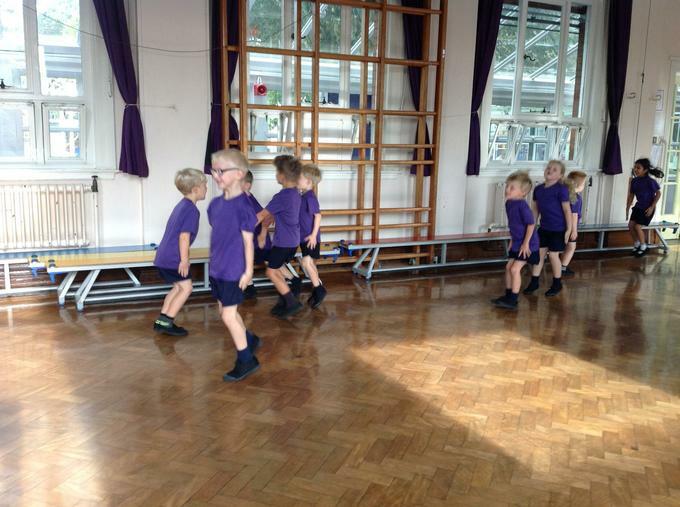 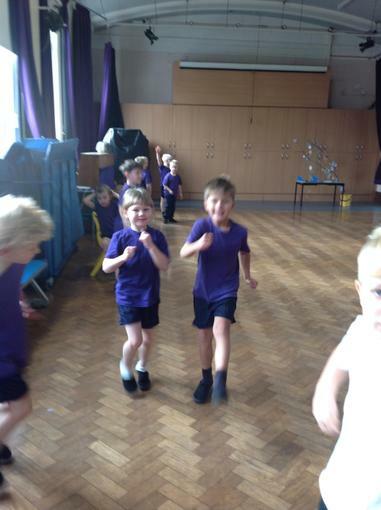 The children practised the caterpillar walk and the bear walk. 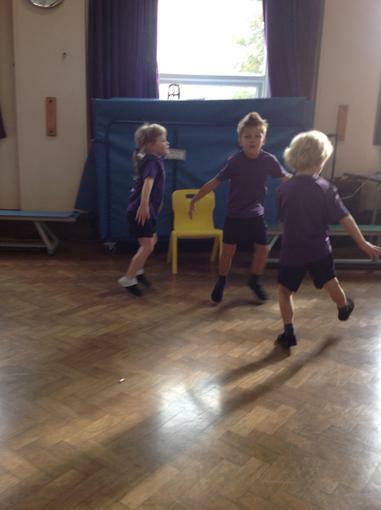 Then they practices jumping landing on the ball of their feet and using their arms for support. 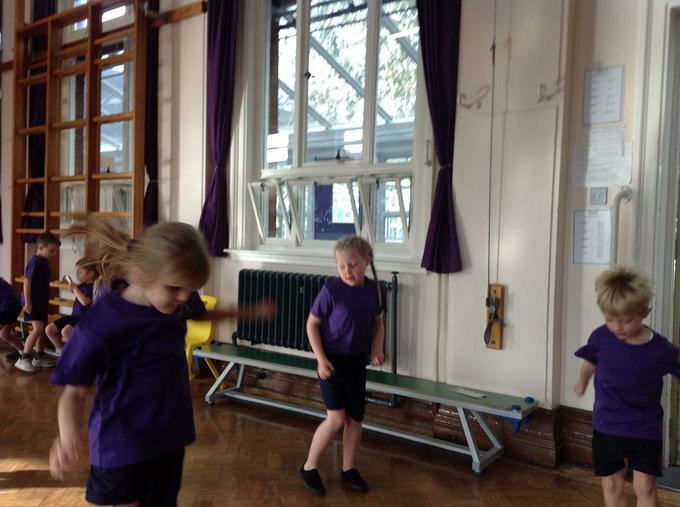 Finally the children practised balancing using different parts of their bodies. 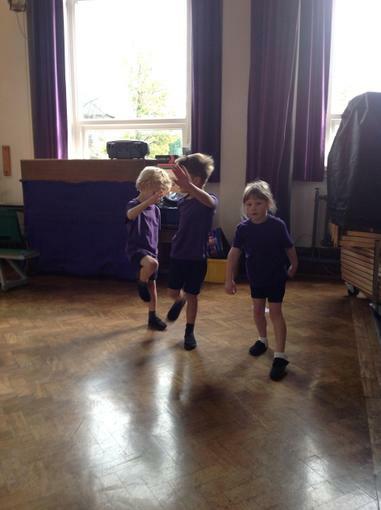 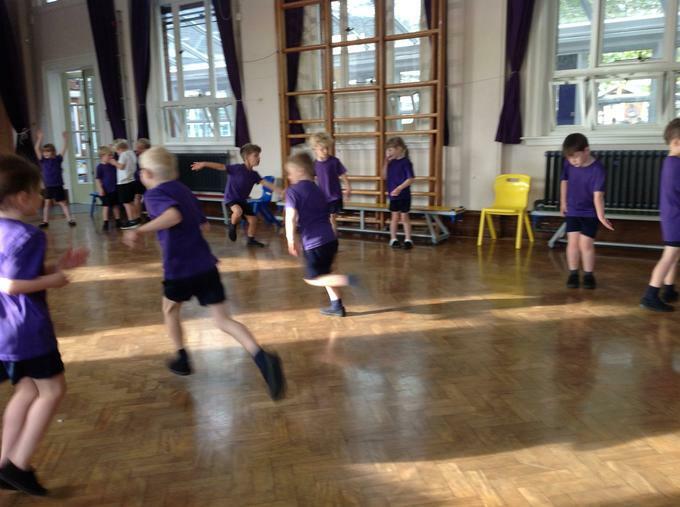 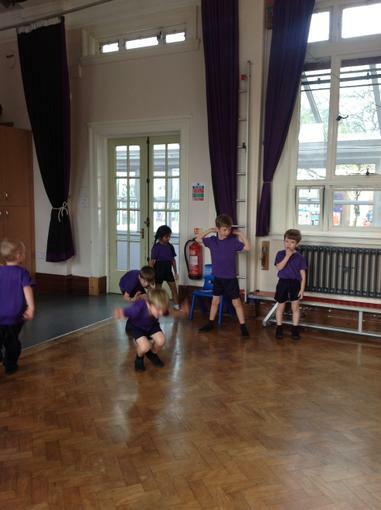 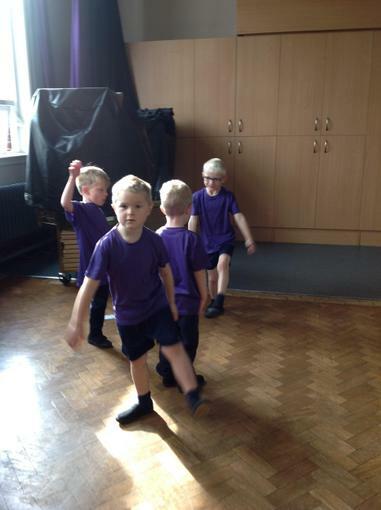 The children created a short sequence, choosing a jump, balance and travel. 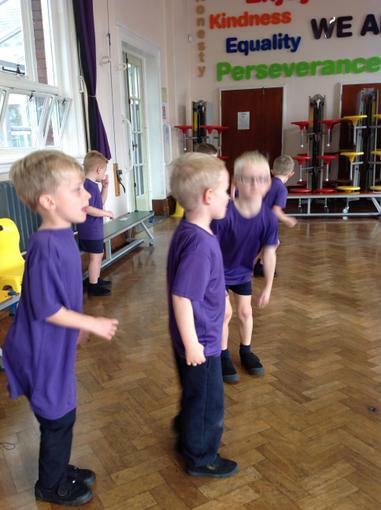 They then taught the sequence to their partner. 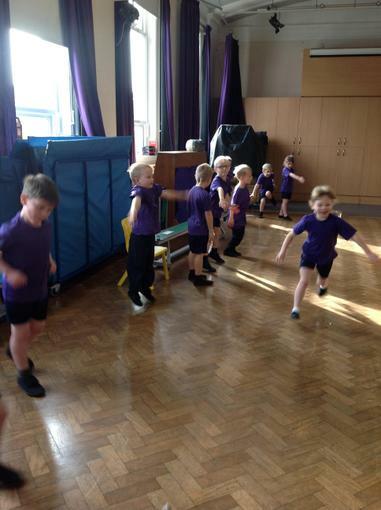 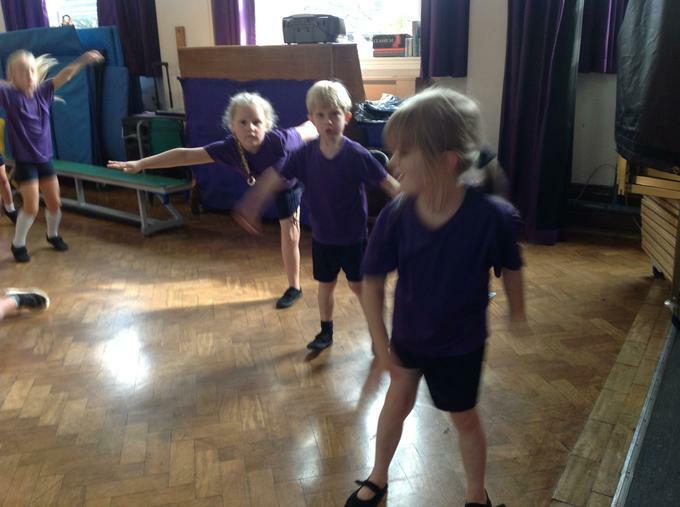 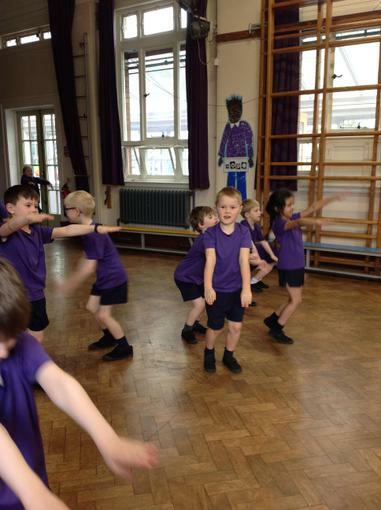 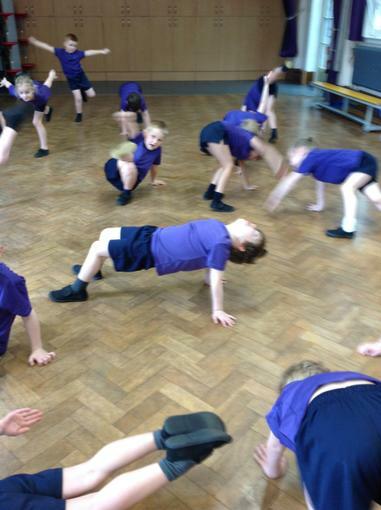 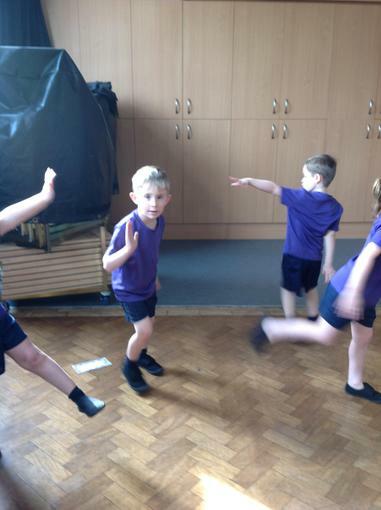 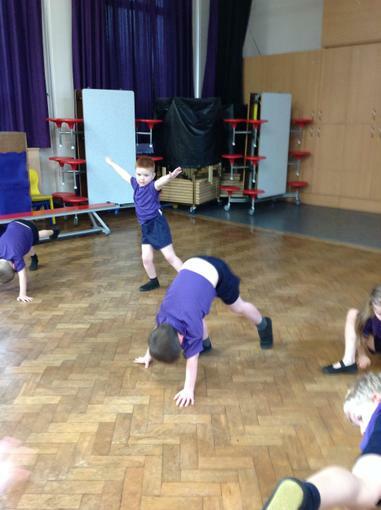 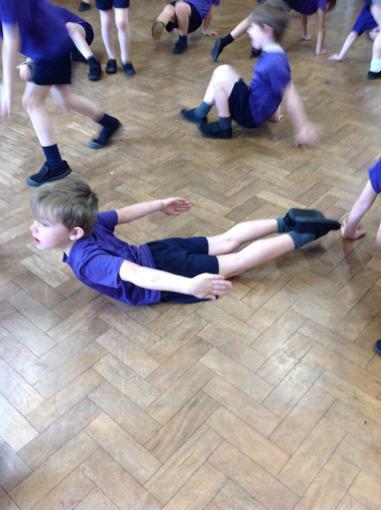 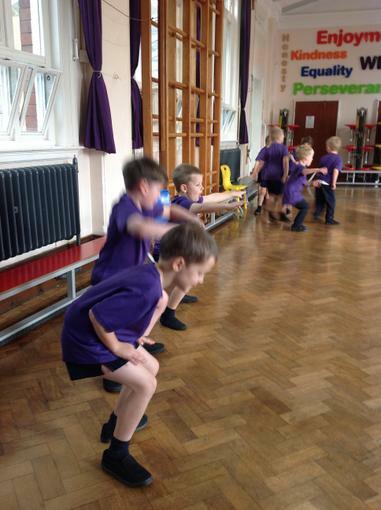 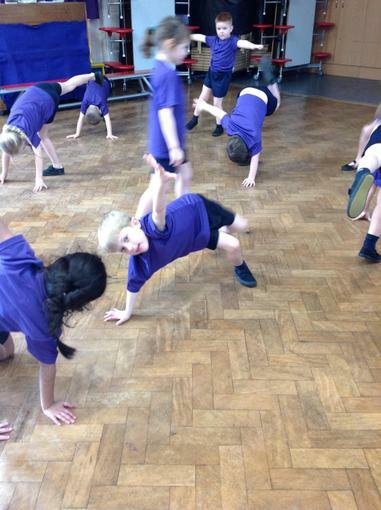 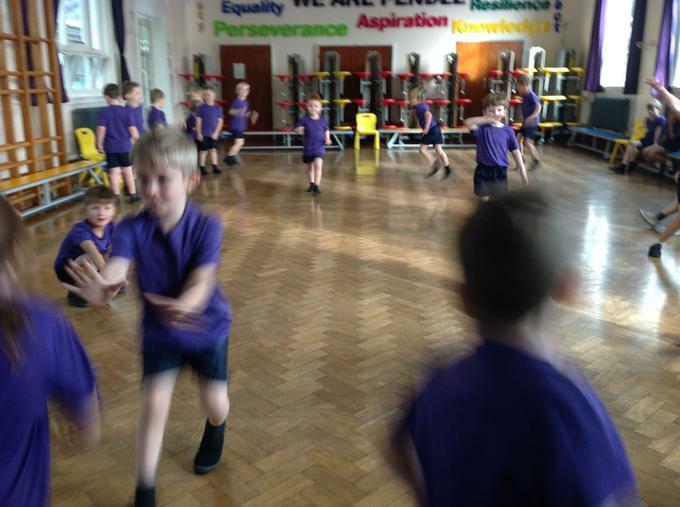 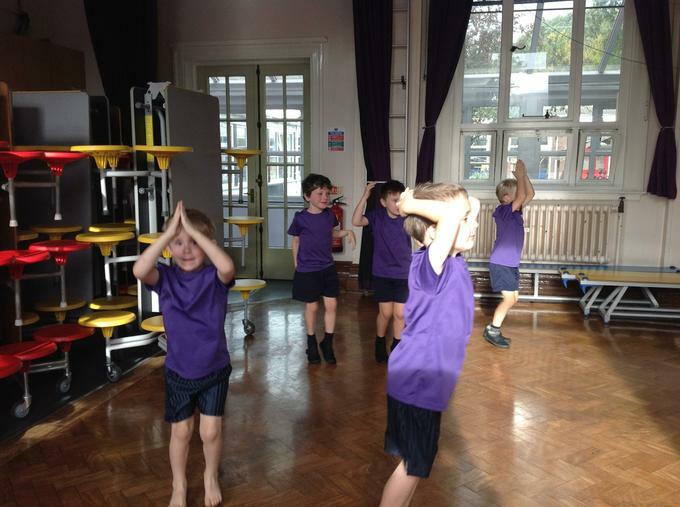 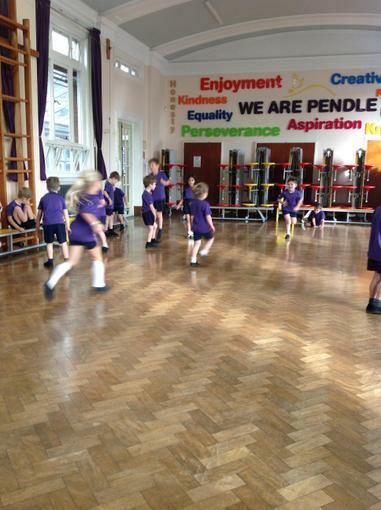 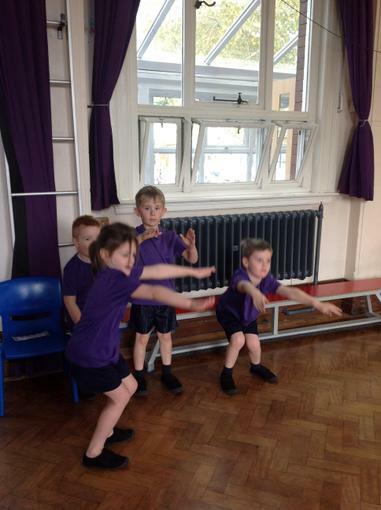 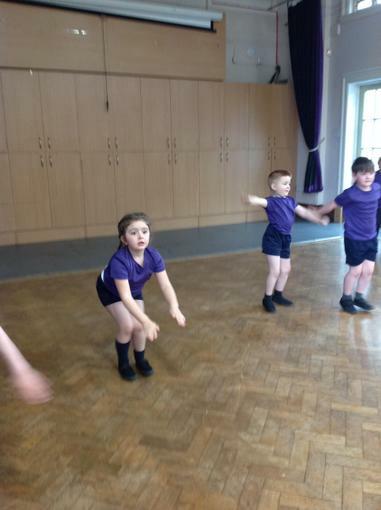 The children practiced jumping and streched their bodys to make tall straight shapes.